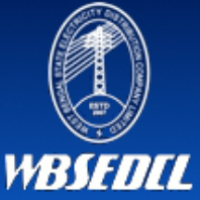 West Bengal State Electricity Distribution Company Limited (WBSEDCL) invites application for the recrutment posts of 477 Assistant and Sub Assistant Engineer (Civil/Electrical) . Eligible and interested candidate can follow the instruction below. Total Vacancy: – 365 Posts. 1) Sub Assistant Engineer (Civil) – 42 posts. 2) Sub Assistant Engineer (Electrical) – 323 posts. Last date: – 07 April 2017. Age limit: – 18 to 27 years. 1) Electrical – 57 posts. 2) Civil – 38 posts. 3) IT & C – 17 posts. Eligibility: – Graduation/ B. Tech degree. Last date: – 24 March 2017.